Is it better to own or lease? That is the question. At least it is, if you drive a commercial truck. While many truckers dream of the day they can proudly proclaim themselves an owner-operator, the reality for many is the math doesn’t always add up. Let’s take a look at the metrics. 1. Can you say sticker shock? – To start with, semis don’t come cheap. If you’re looking for a bargain, you won’t find one in either a new or a used truck. Expect to pay $100,000 or more for a commercial truck. Add another $25,000 if you want to add a sleeper. Then there’s the cost of the trailer, which will set you back another $50,000 for a standard rig. Specialty trailers can cost you even more. While a used semi with a lower price tag might seem like a bargain, expect to pay higher maintenance costs. 2. It’s a gas, gas, gas – If you want to own a big rig, you also have to feed it and it eats for forty. The reason I mention that number is to remind you that a typical 18-wheeler consumes 40 times as much as a comparable four-wheel truck. That can add up to a fuel bill of $70,000 per year or more. 3. Maintenance can also eat your lunch – If you own an 18-wheeler, you can expect to shell out an average of $15,000 per year in maintenance according to askthetrucker.com. That means when you see smoke coming out the stack, prepare for some of your profits to go up in smoke as well. Unlike fleet owners who can afford to hire dedicated mechanics to maintain their rigs, as an owner-operator, the cost comes right out of your pocket on an ala carte basis. 4. The job doesn’t start until the paperwork is done. – Just as with any business, owning a big rig means taking the time to complete a lot of paperwork. 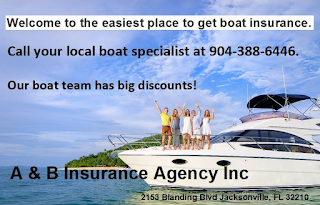 Aside from completing trip logs, there are permits, licenses, and accounting paperwork which owners need to complete. This all takes time that will keep you off the road. 5. For whom the bell tolls – As an owner, you’ll also be on the hook for things like road tolls, plus thousands of dollars per year in insurance costs. 6. It all adds up – The estimated cost to operate a big rig for a year is $180,000, before expenses. 7. Can you cover the nut without going broke? – When it comes to getting paid for driving over the road, don’t forget that truckers only get paid for every mile they cover on the road. Time spent stuck in traffic, at truck stops, fueling your rig or feeding your face doesn’t you one red cent. Neither does time spent waiting at loading docks while your rig is loaded and unloaded, nor time spent cooling your heels while you wait for your truck to be repaired. Is it any wonder that less than 10% of all big rig drivers in the US are self-employed? 8. How low can you go? – Just like any business, the only way to improve your return on investment is to monitor your financial metrics. Businesses in the know (including fleet operators), create monthly profit & loss statements that show them precisely what they spend on what, as well as presenting possible ways to save money. Many hire CPAs that specialize in trucking and even business coaches that can help them identify areas that can be improved, how to maximize earning potential and improve profitability. As my business coach likes to say, “If it can’t be measured, it can’t be fixed.” Just as your truck has a dashboard, so can your business, as long as you take the time to read your financials. 9. A chain is only as strong as its weakest link. – While fixed costs are sometimes hard to reduce, inefficiency can be an easy fix. Since fuel costs are one of a trucker’s highest expenses, by analyzing the way in which a truck is driven can make a big difference in fuel efficiency. The next time you drive your rig, create a log where you chart such things as the amount of time spent idling at rest stops. Eliminating an hour at idle can make a huge difference in your average MPG figures. So too can how hard you hit the gas pedal when starting from a standing stop. If you’re concerned with weather and traffic conditions enroute that can delay or derail a haul, study the conditions before you leave, plot routes and times that avoid rush hour in major metropolitan areas and download interactive traffic Apps like WAZE that provide real time traffic reporting. 10. Pilots conduct preflight and postflight checks for a reason. 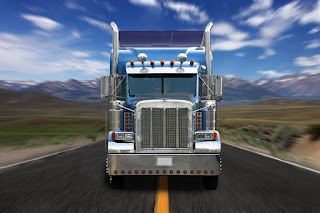 – If you detect a problem with your big rig, don’t ignore it until it comes back to bite you. Note it so you can fix it promptly. This means it never hurts to do a walkaround inspection of your rig before you head out on the road. It also wouldn’t hurt to include a checklist where you can note anything that either needs attention or will soon require maintenance. The time you don’t spend broken down by the side of the road or hung up in a garage while your rig is worked on is time you can well afford to do without. Diane Tait owns and operates A&B Insurance. To find out more about how you can save money on truck insurance, go to hersite or fill out the form at right. If you want to succeed in the trucking business, you have to treat it as a business. All businesses have expenses, profit centers and processes or methods that get things done. Make sure yours are in alignment with your goals.